The Iowa law is simple. Iowa Code § 717A.3A prohibits persons from obtaining access to animal production facilities under false pretenses. It also prohibits making false statements to get a job with an animal production facility with the intent to commit unauthorized acts on that premises. In other words, the law prohibits lying and trespass. Groups bringing the lawsuit, however, argue that this law is a subterfuge for squelching constitutionally protected speech, in particular, speech related to undercover investigations at animal farms. The groups—which include Animal Legal Defense Fund, Iowa Citizens for Community Improvement, Bailing Out Benji, and People for the Ethical Treatment of Animals—allege in their petition that “the legislative purpose was to punish animal rights groups and curtail a form of political speech of great public concern.” They also argue that the statute ensures that “no recordings or images are captured by individuals who may portray the agricultural industry in a negative light,” although the statute does not mention recordings or images or video. The lawsuit does raise important questions. At what point does a private landowner’s right to control and enjoy his property bend to a third party’s desire to investigate and expose activities the third party believes to be distasteful or even illegal? At least two federal courts have struck down laws in other states designed to protect the privacy and property rights of agricultural production facilities. In 2015, an Idaho federal court declared unconstitutional an Idaho law prohibiting, among other things, entering non-public agricultural facilities to make audio or video recordings of the facilities’ operations and knowingly obtaining employment at an agricultural production facility by “force, threat, or misrepresentation with the intent to cause economic or other injury to the facility’s operations.” The court ruled that the law violated the First Amendment of the U.S. Constitution because it sought to suppress speech that was critical of agricultural practices. The court also found that the lies and trespass prohibited by the law did not cause “legally cognizable harm” to the agricultural production facilities. Rather, the most likely harm prevented by the statute, the court determined, was publication of a story about the facility, and not the misrepresentations made to gain access. As such, the court held that the speech related to the trespass could not be suppressed. The court also ruled that the law was not narrowly tailored to a substantial governmental interest and that it classified activities protected by the First Amendment based upon content. As such, the court ruled that the law violated the Equal Protection Clause. The Idaho court’s judgment is on appeal to the U.S. Court of Appeals for the Ninth Circuit. A decision from that court is expected soon. Then last July, a federal court in Utah struck down a law designed to protect animal production facilities from unauthorized intrusion. 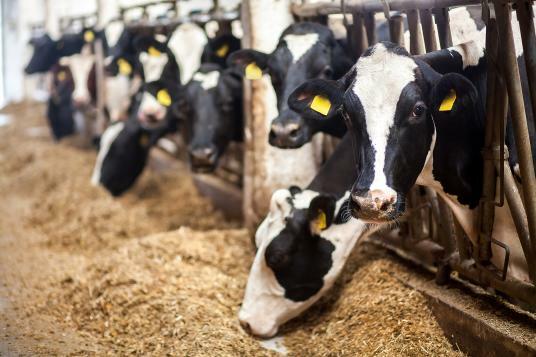 The Utah law prohibited obtaining access to an animal production facility under false premises and making unauthorized audio or video recordings of these facilities. The Utah court ruled that the law violated the First Amendment because the false statements prohibited by the law did not cause harm to the animal production facilities. As such, the court ruled that these statements were protected by the First Amendment. The court specifically found that these false statements did not cause “trespass-type harm” of interfering with the ownership or possession of property. Thus, the court reasoned that the lies were protected by the First Amendment. The court found that the government’s interest to protect these facilities was not sufficiently compelling to justify its intrusion on freedom of speech. The State of Utah did not appeal the district court’s ruling. As such, the Tenth Circuit Court of Appeals will not rule on this case. In September, the Tenth Circuit decided in another case that a Wyoming “data trespass law” implicated the First Amendment. The law established enhanced penalties for trespassing onto private land to collect research data on public land, such as photographs, soil or water samples. The court noted that while trespassing does not enjoy First Amendment protection, the law targeted the “creation” of speech by imposing heightened penalties on those who collected natural resource-related data. The court remanded the case to the district court for further consideration. These cases do not control how the Iowa court will rule. They do, however, suggest the contours of the arguments that will be made by both sides. The Iowa statute, unlike the Utah and Idaho statutes, does not prohibit the creation of audio or video recordings. It strictly prohibits lying and trespass. It only does so, however, with respect to animal production facilities. In the Idaho and Utah cases, the courts found that the lying prohibited by those states’ respective statutes was protected by the First Amendment. They based this conclusion on a finding that the prohibited false statements did not cause “legally cognizable harm” or harm recognized by the law. The Iowa statute prohibits making false statements to get a job with the intent to commit an unauthorized act on that premises, knowing that the act is not authorized. It also prohibits obtaining access to property via false pretenses. In other words, the false statements prohibited by the Iowa statute secure consent by the owner to what otherwise would be a trespass. In such a case, it seems that the law seeks to prevent “trespass-type harm” or interference with the owners' right to control privacy and prevent unauthorized intrusion onto his property. If false statements cause "legally cognizable harm," they are not constitutionally protected speech. The law must also survive an Equal Protection challenge.The question should be whether a rational basis existed for creating a special law protecting animal production facilities. It will be up to the Iowa federal court to decide these questions. From there, the case could go to the Eighth Circuit Court of Appeals or ultimately to the U.S. Supreme Court. *The lawsuit also names Montgomery County Attorney Bruce Swanson as a defendant.